This October will mark my 9th consecutive year as an emergency health care professional. In all those years, the most important thing I learned (besides teamwork) is that assessing a situation correctly and completely could literally be the difference between life and death. The “assessment” is the most critical aspect when saving lives, treating the injured, or tending to the ill. Emergency health care or health care in general, is the most seriousness business of all (other than war), and within this business, great “assessment” skills are absolutely necessary. Now think about your own life for a second. Think about your job, your company, your family, your significant other. How could you improve any one of these things if you spend a little more time observing or assessing, before you act or do anything? Think about the job of a manager, quant, marketer, or salesman? As an example, how much better could a salesperson be if they spent more time understanding a business’ needs, before they blindly push a product onto a prospective client? As a salesman, you must perform a quick but thorough assessment to identify a prospect’s needs and to provide proper business solutions. Prospect assessment includes many steps and is the most complex skill that you will learn in the field. To make the task easier, it is helpful to identify and discuss the key components and skills of prospect assessment before you learn the entire process. You will need to know which questions to ask and how to ask them. By using your deductive powers, you will be able to interpret the meaning and implications of your findings and the information that you have gathered. When assessing the prospect, you will have to look, listen, feel, and think. If you couldn’t tell, this excerpt was actually taken from an Emergency Health care manual, with a few words changed. (Outdoor Emergency Care, Comprehensive Prehospital Care for Nonurban Settings, 4th Edition). The real excerpt is below. Point is, you can’t possibly solve a problem or address an issue, without fully understanding the problem in the first place. In health care, this could possibly mean death. In business and in relationships, this could possibly mean failure. Think, assess, and only after, act. “As a rescuer, you must perform a quick but thorough assessment to identify a patients needs and to provide proper emergency care. 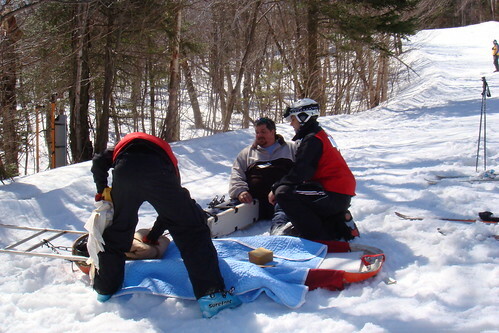 Patient assessment includes many steps and is the most complex skill that you will learn in the OEC (Outdoor Emergency Care) course. To make the task easier, it is helpful to identify and discuss the key components and skills of patient assessment before you learn the entire process.